Requiem is a new preacher in the small town of Wonderville, and he can actually perform miracles, or at least one miracle, which he refuses to do purely out of principle. When his new parish isn't receptive to his talents, however, it's only a matter of time until they hire a Killer Deacon to get rid of him. Can the mysterious Broken-Throated Advocates help, or will Requiem prove himself in time to the small-minded members of his congregation? 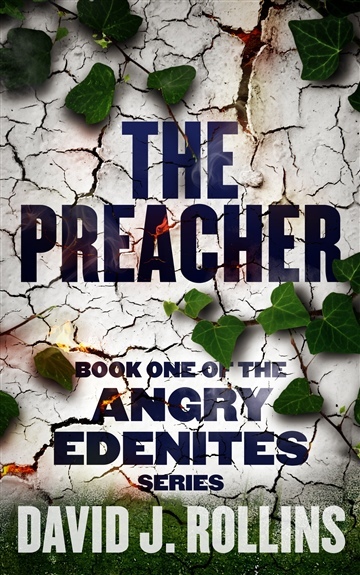 Read The Preacher and find out! David J. Rollins is an exciting new author with a style all his own. His works have been compared to expressionist paintings, Frank Zappa's album Joe's Garage, Terry Gilliam's movie Brazil, as well as Douglas Adams' novel The Hitchhiker's Guide to the Galaxy. If you are looking for something new and different, this author is definitely someone to read. quirky, sick, but totally enjoyable world in the Sales Crime Policeman "